September 25, 2018 in Earth // Firefighter’s Cancer legislation – it’s time. June 13, 2018 in Earth // 2018 budget: Beyond privatization? A fire station in Sydney’s north west was closed for hours because of government funding cuts, firefighters say, just two nights after bush fires threatened homes and lives nearby. The O’Farrell government’s $70 million cut from Fire and Rescue’s staff budget means stations that do not meet a minimum of four staff on a shift are closed rather than firefighters working overtime. Schofields station closed on Thursday night when one crew member took injury leave, until a crew from Mona Vale arrived to cover. See: Fire stations closed as western Sydney burns | Via Hills News. Former President of the Fire Brigade Employees’ Union (2009-2018) and a professional firefighter with more than 25 years’ experience. I live and work on the NSW South Coast, Australia. I am a strong advocate for firefighters and emergency service workers with an interest in mental health issues and caring for those around me. I am a Director on the NSW Fire Brigades Death and Disability Super Fund and work with charities including ‘The Movember Foundation’. As a leader and activist I have long been active in the campaign for action on climate change. 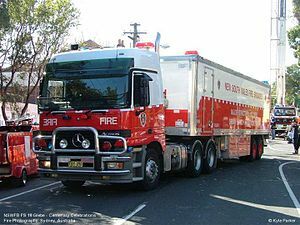 I am a Station Commander in the fire and rescue service in NSW and have 30 years experience fighting fires, both rural and urban. I am passionate about highlighting the impact climate change is having on fire preparedness and fire behaviour in Australia, and the risks associated with inaction on climate change. I am also a spokesperson for the Australian Climate Media Centre. Reblogged this on Justacceptit's Blog. Firefighter’s Cancer legislation – it’s time. Sun shining through the stormy clouds. Sunday breakfast, use your imagination - what do you see? Just another day in #Kiama, #NSW.